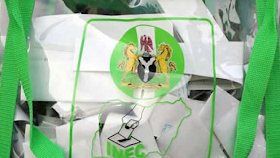 Prior to the election of the governor of the state of Osun on September 22, the Independent National Electoral Commission (INEC) has begun the distribution of electoral materials. The materials were moved from the Osogbo branch of the Central Bank of Nigeria to the headquarters of each of the 30 Local Government Areas in the midst of strict security measures on Thursday. The INEC Resident Electoral Commissioner (REC) in the state, Olusegun Agbaje and other commission officials, as well as the security agents and the party, supervised the delivery.